…think again, even if most of your wireless network activities revolve around your personal and family life. 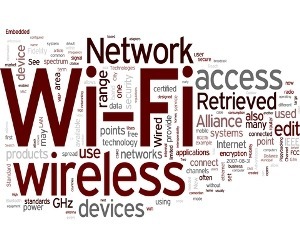 There are seven lies about wireless protection; have you fallen prey to any of them? Even an amateur hacker can get past a password. Don’t think that WEP (wired equivalent privacy) can keep out hackers. It’s outdated. Its encryption abilities are flawed. Avoid WEP. Use WPA or WPA2. If you are on a free Wifi get Hotspot Shield VPN which protects your entire wireless session. Do you really think that big stupid cable company that’s can’t get a simple customer service call right really has your back? Many ISPs and equipment makers often use WEP as default protection—even big ISPs. Technicians who install your service usually do not automatically install a stronger encryption technology, and you end up getting hacked. Nevertheless, ISPs and equipment manufacturers are slowly coming around to realizing this problem. More recent wireless gateways and also routers are using WPA for the default. If you have WEP, you may need to change it manually. Don’t assume you automatically have WPA. Find out if you have WEP or WPA. If your router is old, you may need to buy a new one to get WPA. Not anymore. A determined hacker can use a plain ‘ol laptop to crack long passwords. Tools are available for free or just a few bucks to do all the dirty work. All Mr Hacker needs to get going is to download free tools to carry out the deed. It may seem complicated to you, but not to an experienced hacker. Give him just 5-10 minutes and your wireless network could be in his hands. Even a beginner hacker could crack through your network in under an hour, courtesy of online tutorials. You need superb protection, not just good. A bored hacker who wants some fun doesn’t care if your data is highly sensitive government information or your kid’s soccer team standings. Just knowing he busted into your private life is enough to thrill him. A “man-in-the-middle” attack can gain a hacker invasion of your communications. This type of attack is stealthy and slick, bypassing the victim’s human radar. No, you won’t. Your wireless boundaries don’t stop at your front door; they can extend to neighboring space, meaning that your signal “bleeds” out—horizontally and even vertically. Savvy users know they can stretch the bleed into a few blocks’ distance via cheap antennas. So down your street your attacker may be sitting inconspicuously in his car. Hopefully your awareness of these lies you tell yourself has prompted you to take measures to upgrade your wireless network’s security with the right design and implementation.